It is March 2012 and Marcel and I am in a supermarket in Warsaw looking at rows of wine bottles, searching for South African brands. He drifts off, directs my attention to the spirits aisle. It's August 2012 and I write a message of distress to a blonde that I’ve met through work. She’s normally very responsive and always invites herself for coffee, but now no reply. So I'll have to handle this on my own. No, there’s help in Warsaw! I tell Marcel of my flu. It's October 2014 and a girl from Poland calls me. Edyta tells me that she sells glasses. Very nice I say, but we sell wine. Very impressive, I think as I glance at it. But wait, I recognize this! 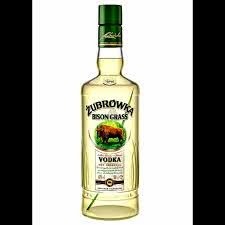 Bison Grass Vodka! And first thing she unpacks from her bag is a shot glass of Żubrówka, showing me the whole design process on her tablet. Tasting wine in a couple of branded wine glasses, I get to keep the ŻU glass and she leaves with a can of winesave for her boyfriend’s birthday. Now if you need classy branded or moulded glasses wherever you are I can put you in touch. As for the ŻU vodka, my bottle is empty, but I know now where to get more... Oh, it’s traditionally drunk with unfiltered apple juice as a cocktail, the Szarlotka. Labels: "Anton Blignault", "Bison Grass Vodka", "branded glasses", "embossed bottles", "FMS Wine Marketing", "moulded glasses", "Szarlotka cocktail", "Warsaw Poland", "ZU vodka", "Zubrowka Vodka", "Zubrowka"